"Putting away the Alleluia for Lent is like putting away a favorite toy for a while – to appreciate it better later." “Lent” comes from the Anglo-Saxon word lencton – meaning “spring” or “lengthening” from the time of year when the days grow long. 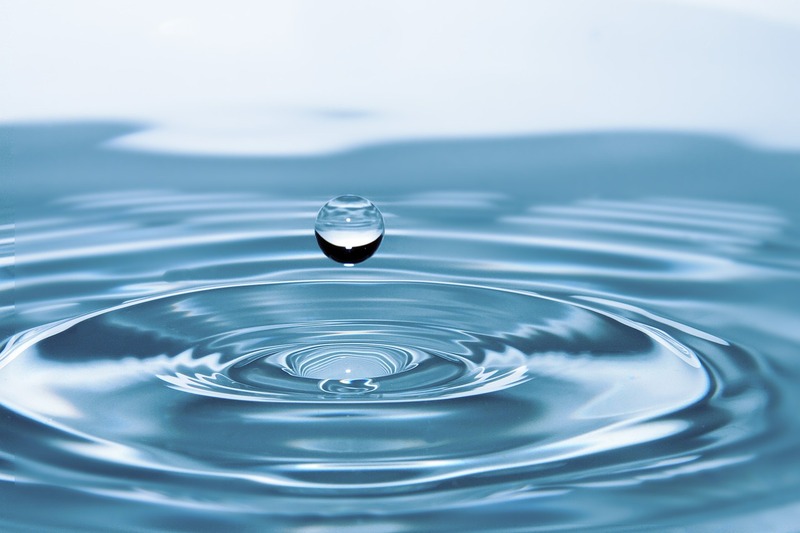 Some believe that the word “Lent” may derive from the Latin lentare, which means “to bend.” This understanding reinforces a sense of Lent as a time of preparation for personal and collective transformation. Having nurtured ourselves through Advent, Christmas and Epiphany, Lent becomes the time to look truthfully at ourselves and make changes. The Church has the custom of not speaking or singing the word “Alleluia” during Lent. Alleluias are joyful proclamations, which we put away during the more contemplative season of Lent. 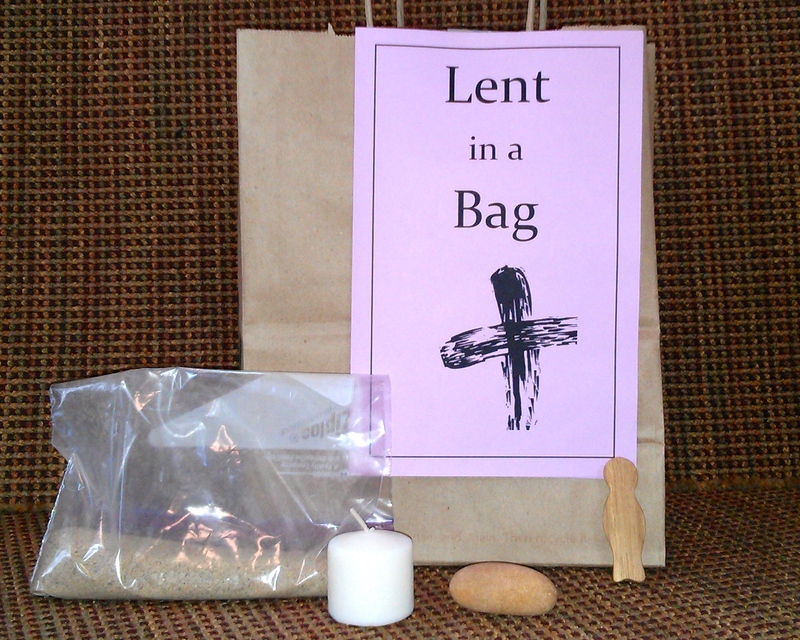 Putting it away for Lent is like putting away a favorite toy for a while – to appreciate it better later. Churches often take banners down; eliminate flowers in the sanctuary. Our Sunday readings and prayers take on a more penitential tone. A symbolic ritual to help children move into this season is to “say goodbye” to the Alleluia. 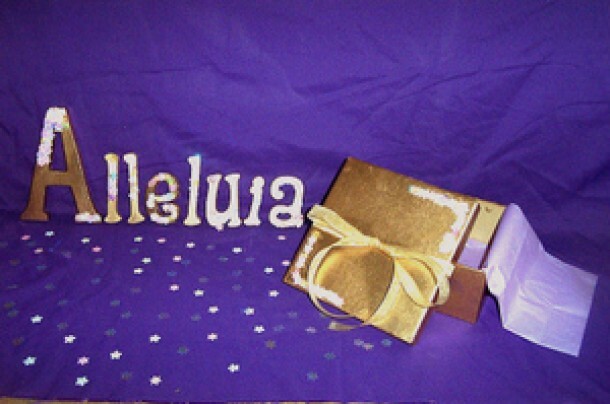 Decorate a banner or poster board with the word “Alleluia” in large letters. Everyone can participate in decorating the poster with markers, glitter, stickers, sequins, etc. Using the below prayer, it can then be ‘veiled,’ put in a dark corner or closet of the church. The alleluia(s) can also physically buried if the ground in your region is not frozen or covered with snow (make sure you put it in a waterproof bag or container and mark the spot!). On Easter, there can be a celebration as it is unburied! Leader: It’s time to say goodbye to our friend, the alleluia, to let it rest for a while, so that it will return to us at Easter full of enthusiasm to remind us again who we really are: loved children of God. 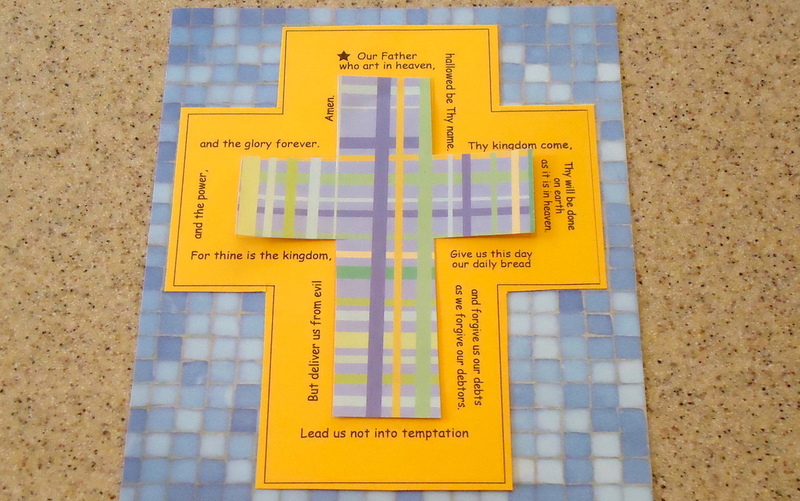 Prayer: Lord God, our creator, as we bury this sign of heaven’s song, help us to turn ourselves to living a good Lent. Help us to give up things that stand between us and your love, and walk with Jesus on the road that leads us closer to you. We give up our alleluia only for a while so that we may make a more beautiful music in our heart and life when we sing it again at Easter. Amen. Leader: You are now invited to say your own good-bye to the alleluia, if you wish. Prayer: Lord, we have given up for a time the song of heaven so that we may prepare our hearts and minds to be ready for heaven. Help us, in Jesus, to die to selfish habits that keep us from you and to live more fully your peace and joy. Help us to be renewed in your Spirit as we live this Lend. Amen. Sharon Ely Pearson is an editor and the Christian Formation Specialist for Church Publishing Incorporated (CPI). She is the author/editor of several books, most recently The Episcopal Christian Educator’s Handbook and Signed, Sealed, Delivered: Theologies of Confirmation for the 21st Century.